Keylogger software records external user’s activities on the computer in your absence. Keylogger program monitors all typed keystrokes such as typed e-mail, passwords, chat conversation, URLs, text documents and generate detailed report of recorded data that can be sent to user defined email accounts. Keystroke recorder program easily traces all typed keyboard activities in efficient manner. Advanced Keylogger Software not only record keystrokes but also tracks entire PC activities including voice chats, clipboard activities and accessed applications. 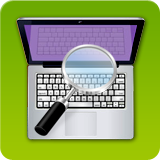 Keylogger program captures screen snapshots at regular interval of time so that you can easily find what is going on your PC in your absence. Software easily monitors typed e-mails, passwords, chat conversation and other user-performed actions on the Desktop PC/Laptop Computer.